Juicers are like cousins—there are lots of them and you’re not quite sure who’s who. Before investing in a juicer, it is crucial to distinguish between the two types of juicers on the market—centrifugal and masticating. 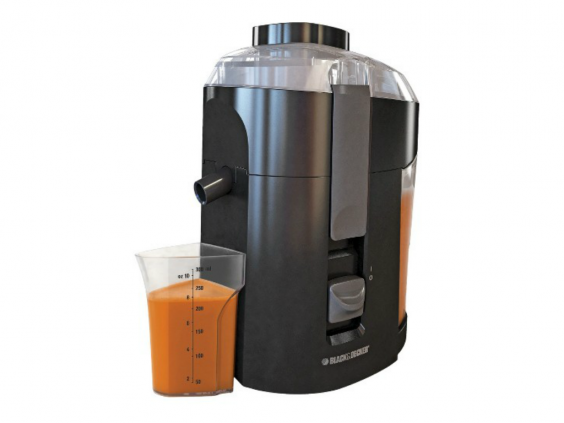 Centrifugal juicers are the most popular (and cheapest) option, perfect for beginners. Identifiable by a strainer basket with blades at the base, these easy-to-use juicers chop fruits and vegetables into fine pieces by spinning them at high speeds to separate juice from pulp. 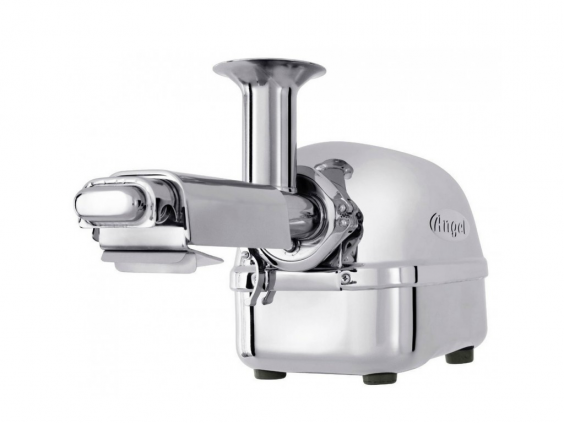 While you might save money by purchasing this type of juicer, the centrifugal juicer tends to yield less juice, resulting in more money spent on produce. Masticating juicers also referred to as “cold press” or “gear” juicers, tend to be more of an investment designed for the avid-juicer. With a distinct spiral auger, these juicers grind up fruits and vegetable before pushing them through a strainer at a lower speed. Slower juice extraction preserves nutritious enzymes and nutrients and leads to a higher juice yield with an increased concentration. Ultimately, the perfect juicer is one that fits your schedule and feeds your motivation to produce juice routinely. We tested popular juicers on the market based on quality of the model and extracted juice, feasibility of production and cleanup, and versatility. 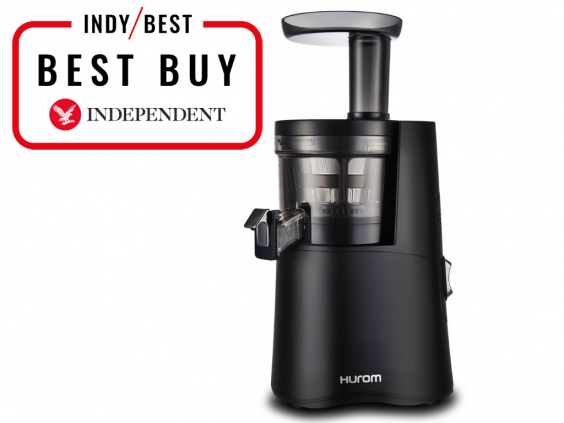 This sleek juicer checks all of the boxes—ultra-quiet, practical size, and high juice yield. The H-AA quickly extracts juice from soft fruits, tough vegetables, leafy greens, nuts, and tofu. But the biggest advantage of this slow juicer comes after the juicing—cleanup. No need to separate parts between juice recipes since an interior spinning brush cleans the chamber and strainer as you juice, resulting in minimal clogging and increased juicing efficiency. For those with an affinity for the aesthetic, the juice cube knocks out its competitors just as easily as it chews through fruits, vegetables, and nuts. Its industrial design and compact size make this masticating juicer a great countertop companion. 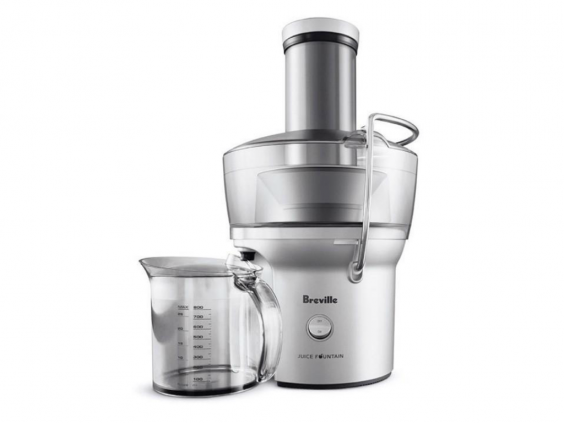 The small chute requires more preparation time and the model’s considerable amount of parts can complicate cleanup; however, with ample time in your routine, this masticating juicer produces a noticeably smooth juice. Calling all green juice addicts! This could be the horizontal masticating juicer for you. 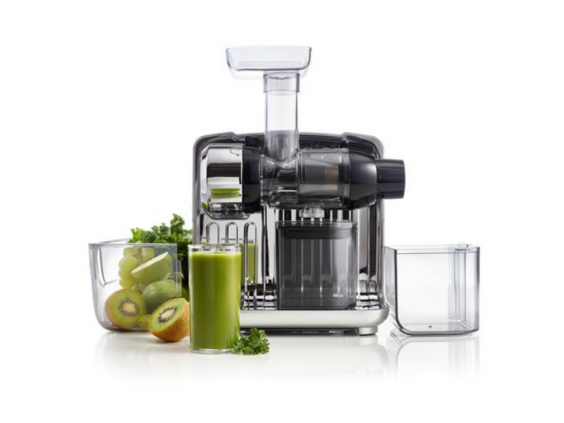 The model’s twin-gears mimic the grinding process of molars; ensuring every last drop of juice is squeezed out of even the densest of leafy greens like kale, wheatgrass, and spinach. But the high yield of juice from nearly everything comes at a cost—the model is extremely heavy and requires intense scrubbing to remove pulp from the twin gears and screens after use. If you’re truly dedicated to ensuring all of the liquid is stripped from your produce, the quality and amount of juice is worth the extra scrubbing time. 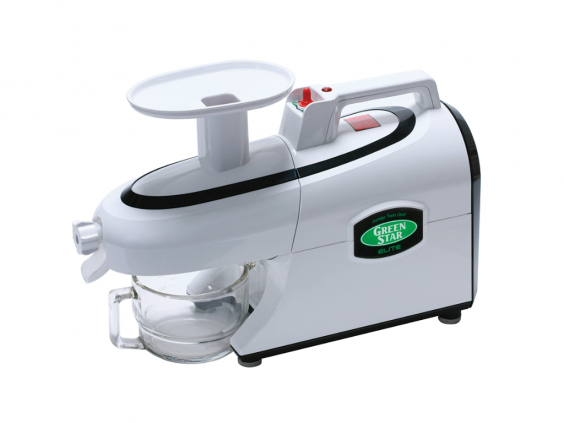 This centrifugal juicer is ideal for the consumer concerned with both time and budget. It works extremely quickly for the price and the simple design makes clean up a breeze. Be sure to cut your produce small enough so that it fits in the chute to avoid jamming the machine. At under $40, the juicer lacks the additional accessories and special features that you’d get with a slightly pricier option. “Small but mighty” perfectly describes this lightweight powerhouse of a juicer. By collecting pulp within the unit itself, you save precious countertop space while still producing a high quality juice. The extra-wide feed chute, which can accommodate whole fruits and vegetables, cuts preparation time in half. But with power comes responsibility—don’t lift the food pusher too fast or the machine has a tendency to spit out small pieces of fruits and veggies. If you’re a serious juicer, this machine is worth the hefty price tag. Sporting a 3 horsepower motor, this juicer earns its title as one of the most powerful juicers on the market. With slow, masticating twin gears, the model is ideal for thick produce and low oxidation levels, meaning less foamy juices and more pure, enzyme packed juices that can survive a few days in the fridge.